Paeonia delavayi ‘Mrs Sarson Hybrids’ are a quite remarkable selection of tree peony hybrids grown by us over many years. 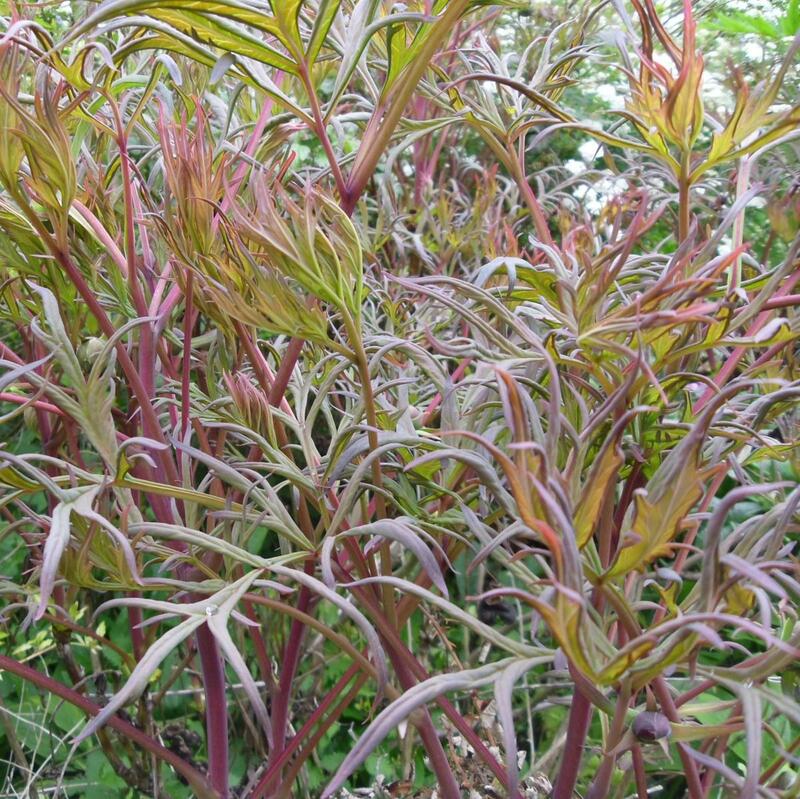 The foliage is stunning and in most is finely cut with a reddish metallic sheen. 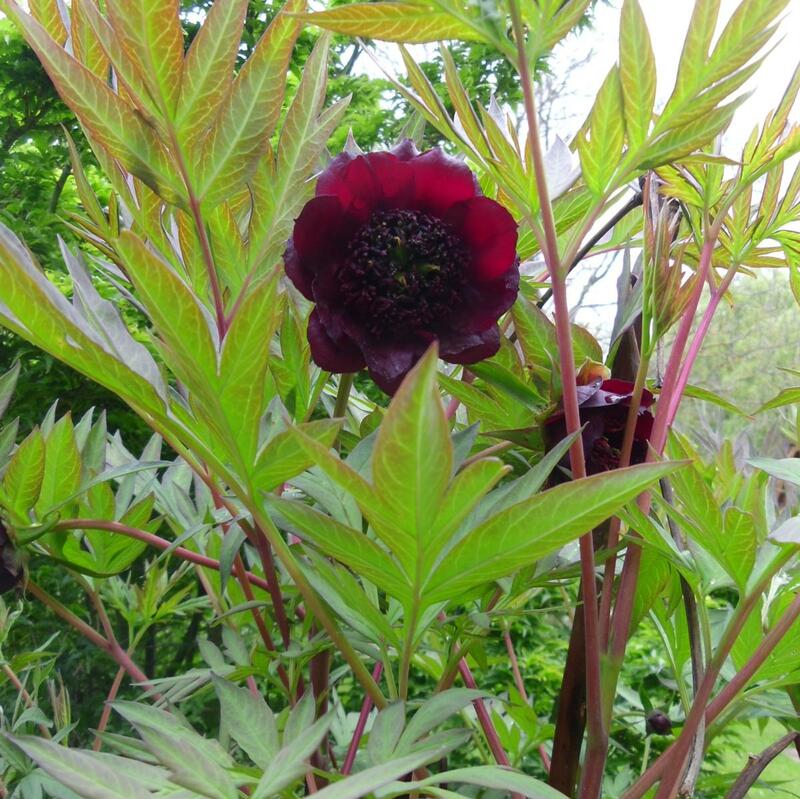 Flower colour is wide ranging but mostly red to dark red and purple – some being almost black.Rarely are they yellow, but there can be some stunning amber to orange flowered plants. The joy is not knowing what you might get. 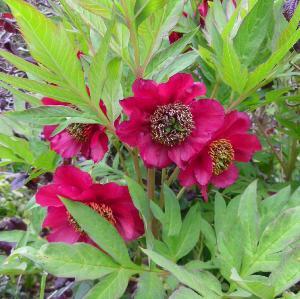 Why not buy three, they only take a few years to flower and in the mean time you have the joy of the foliage. 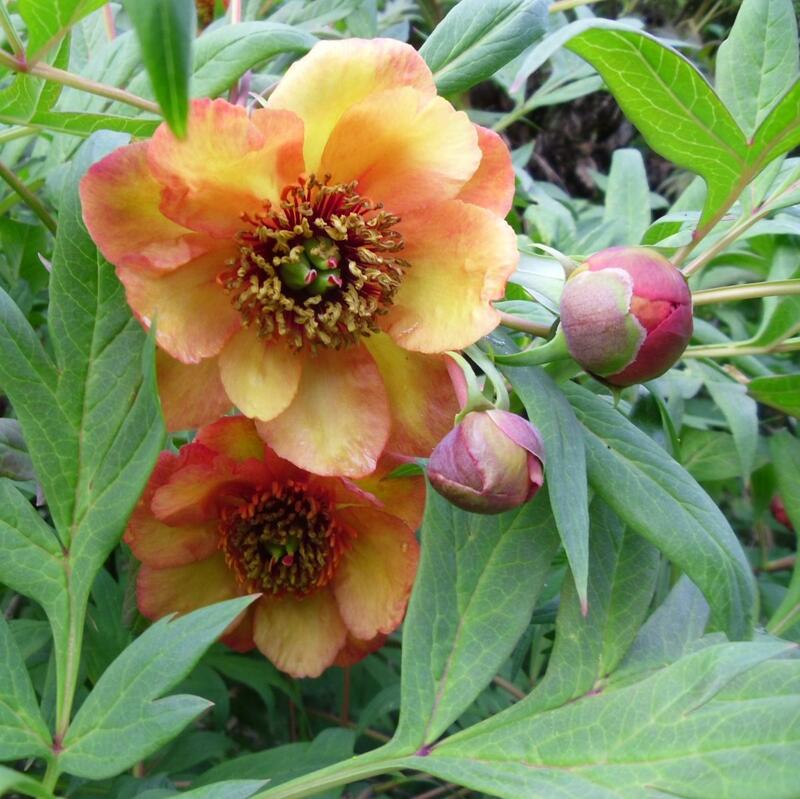 These are of course not trees at all but they do make delightful hardy shrubs.Our stock of these originally came from the late Maurice Mason who famously gardened at Fincham and later at Beachamwell in Norfolk, and was famous in particular for his extensive orchid collection. Maurice was a generous gardener and introduced the Iron Cross Begonia, Begonia masoniana which was named for him. The name Mrs Sarson, to which seedlings became known was thought to have originated because Maurice had written the name Miss Sarson on the label after being given a plant/s by a Miss Sarson.Such was his generosity, those plants and seed were distributed from his gardens at Larchwood to visiting nurserymen and so the name became fixed but was never intended as a variety name at all. 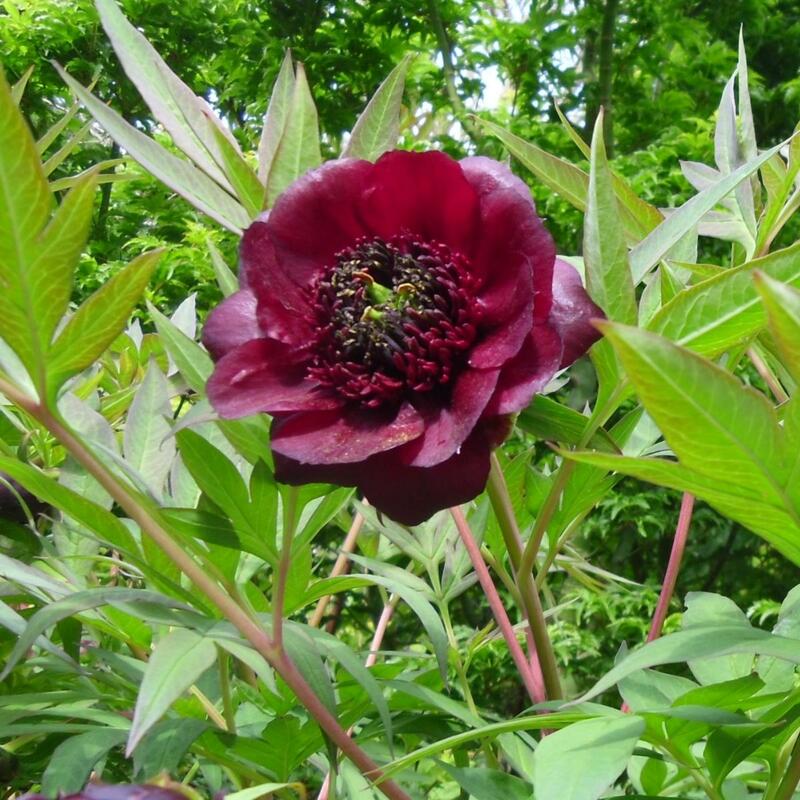 There hybrid tree peony plants are very easy to grow in any good garden soil and quickly establish, many reach flowering size within 3 years. They generally do not exceed 1.5m in height, but do benefit in any case from a hard prune from time to time to keep them bushy.